Welcome to Make It Monday with the Kraft Outlet. Use this week's "Welcome Fall", theme to inspire you to create your project and then link it up at the bottom of this post before 6:00 p.m. (Eastern Time) on Sunday September 25, 2011. All of our followers who participant in our challenges for the month of September have a chance to be featured on our "Feature Me Fridays" posts as well as be entered to win a $15.00 Kraft Outlet Store Voucher! The more challenges you enter this month, the more chances you have to win! This month we'll also be featuring work from our Guest Designer, Debbie Carriere of Scrappin' My Heart Out blog. We're excited to have Debbie join us to design projects we know will inspire you, using Kraft cardstock and other products available at Kraft Outlet. Today we'll introduce Debbie to you and then on our weekly Thursday Trigger posts we'll reveal her creations all month long! So be sure to stop back in again on Thursday for this week's challenge Trigger from Debbie Carriere. 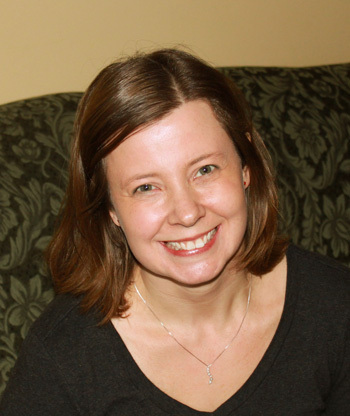 By the way, Debbie will join our regular Design Team in January 2012, so please join us in welcoming her to the team! Hello, my name is Debbie Carriere and I am very excited to be the September Guest Designer for The Kraft Journal ! I am a stay-at-home mom to three kids, paper crafting addict, and wife of 10 years to a very understanding husband. We live north of Boston, Massachusetts. I started scrapbooking about 6 years ago and was introduced to stamping just over 3 years ago. I started blogging just over a year ago and really became passionate about card making soon after! Most nights after my kids are in bed, you will find me creating in my "scrap room" until after I should have gone to bed! Kraft cardstock is one of my go-to products, so I am so happy to be here this month! My other loves are my family, the outdoors, reading, and coffee! Here's a sneak peek at Debbie's card for this week's Use a Sketch challenge and don't forget to come back here again on Thursday for the full reveal and all the details! Kraft Outlet Design Team Reveal for "Welcome Fall"
﻿Fall always reminds Jennifer of her dad's birthday and she made this card for him! 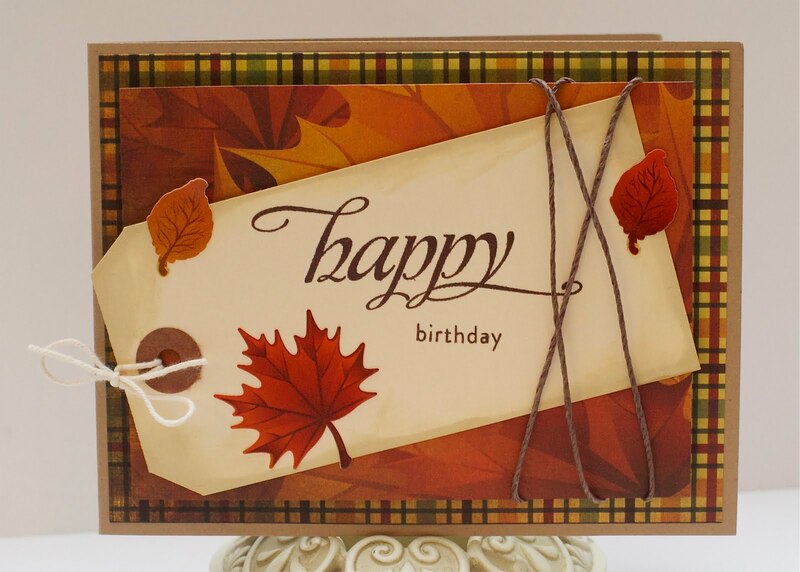 The card base is brown kraft cardstock which gives such a warm feeling to the card. A shipping tag was stamped with a big, birthday sentiment and the edges were distressed with ink for a soft touch. Decorative papers and coordinating stickers give it a fall look, and the card is finished with a wrap of hemp cord. Head over to her blog for more info! For this week's Welcome Fall challenge theme, Audrey created a fun autumn card using her favorite fall motif, the pumpkin, and lots of her favorite products from The Kraft Outlet. She started with a card base of Lunch Bag Kraft Cardstock and patterned paper, followed by a Grungy Prim Tag wrapped in Savannah Seam Binding. 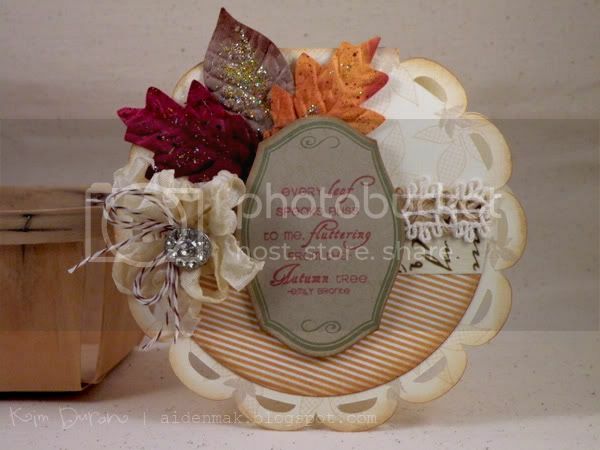 A strip of patterned paper edged in Avignon Patterned Paper Tape and lace trim spans the center of the card. Audrey took advantage of the beautiful framework on this Town Square Journaling Card to stamp her pumpkin image directly onto the card. After coloring and glittering her image, she wrapped the card in Hang Tag String and a harvest button. A few more buttons, a rub-on sentiment, and a layered bow made from seam binding, hang tag string, and Antique Stick Pins finish things off. Kim says that her favorite thing about fall are the beautiful leaves and the warm, rich colors. 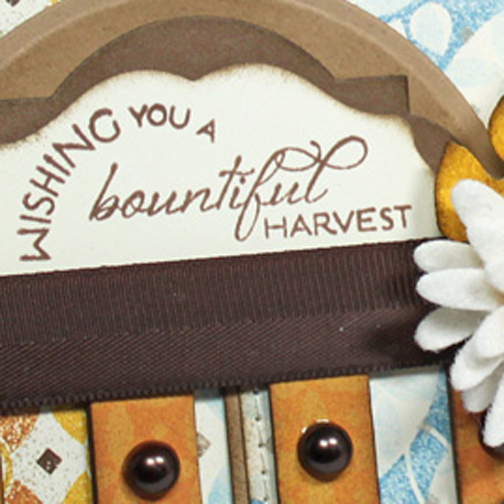 For our fall theme, Kim created a scalloped shaped card using Buff Ivory cardstock and stripped patterned paper layered with Venice Gaffer Tape and burlap twine. 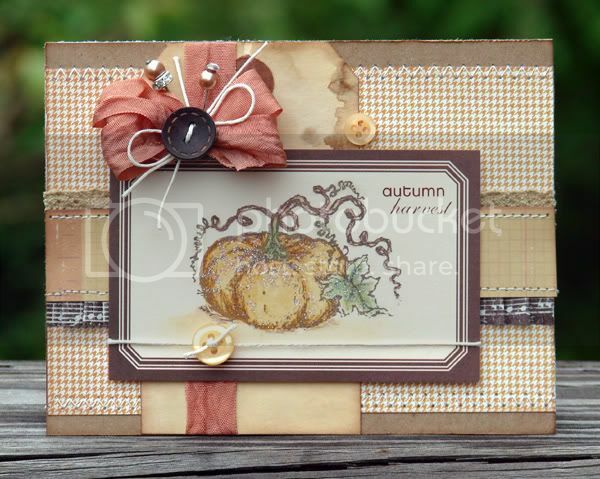 Her fall-themed sentiment has been stamped onto a label using Light Kraft cardstock layered above crisp autumn leaves, embellished with seam binding ribbon, Brown Kraft Baker's Twine, and a vintage rhinestone button for a bit of sparkle! Entered my Autumn Card. Used Kraft cardstock as Base of card which is perfect for Autumn cards.